Servicing your car is an important aspect of car ownership. Just as important is being able to trust the work that is being done on your vehicle. The service department at Whitby Toyota has been working for years at the most trusted location to have your Toyota vehicle serviced. 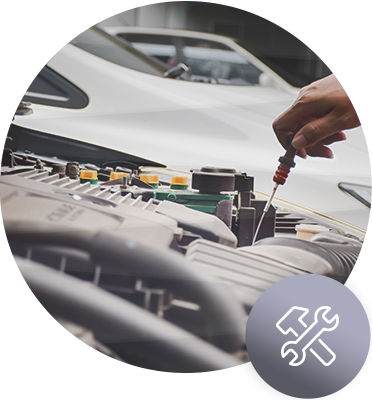 When you bring your vehicle in to get serviced at Whitby Toyota you can trust that our team of experienced service technicians will work tirelessly in order to help keep your vehicle running as good as new and to keep its reliability and maintenance over time. Our team of service technicians are trained to work on Toyota vehicles and will be able to complete any task. They are always available to answer any questions that you may have and will ensure the reliability and value of your vehicle. Come in today and visit our state-of-the-art service department where everything is clean, modern, and designed to make you feel comfortable. As you wait for your vehicle, relax in our lounge or take advantage of the shuttle service. Our team of service technicians is always available to answer any questions you may have. So come into our service department today and let us look after servicing your vehicle.